Tucked away in the hills of St. Ann, Jamaica – Walkerswood Caribbean Foods has worked to bring a taste of the Caribbean to the world with an innovative line of traditional seasonings, cooking sauces, spices, preserves and canned vegetables. 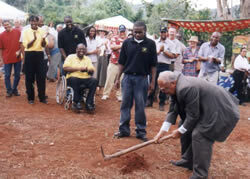 Registered in 1978, the company started life as part of a rural community’s effort to create employment for its people. We now have full time staff of over 80. 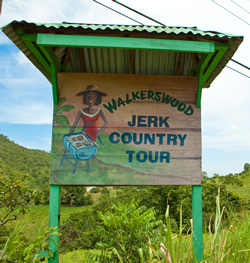 With the growing demand for spicy food, WALKERSWOOD developed its own Jerk Seasoning and was the first company to export Jerk Seasoning from Jamaica. Since then our range of products has grown to over 15 and includes popular Jerk BBQ Sauce, Jonkanoo Hot Pepper sauce as well as Ackee for Jamaica’s National dish. These products have brought ease and convenience to preparing tasty Caribbean meals. In order to make our products more readily available WALKERSWOOD has established distribution in the USA, Canada, UK, New Zealand and the Caribbean. This has helped WALKERSWOOD become an international brand name, synonymous with quality Caribbean foods.